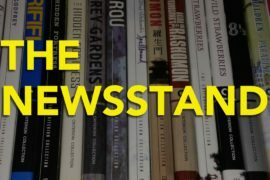 This month on the Newsstand, Ryan is joined by Scott Nye, David Blakeslee, and Sean Hutchinson to discuss the November 2014 Criterion Collection line-up, as well as the latest in Criterion rumors, Hulu additions, and home video announcements. CriterionCast • Robin Williams in the Criterion Collection. West Anthony on Twitter: I am retiring from podcasting effective immediately. Thus ends week two of this link post series.